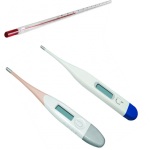 Q: “Are digital thermometers as reliable as the older glass standard ones? Thank you for your question about the reliability of digital thermometers when compared to the glass, mercury-filled ones many of us grew up with. It’s important to know if our tools are giving us the right readings! One of the best sources for finding information about the reliability of certain products is “Consumer Reports”. Our Delaware Libraries offer free access to this popular magazine online and in our libraries. Online, you just need your library card number (located on the back of your library card) and your PIN to log into the “Magazines” area. Once there, you can search by publication or subject to find articles. Further details, including the ranking of a variety of products, are provided on the article available through the Delaware Libraries, and other information about thermometers is freely available on Consumer Reports’ site. The National Institutes of Health and the US EPA (Environmental Protection Agency) also give excellent information about today’s thermometers. They describe the move from the standard glass, mercury-filled thermometers, how to dispose of these, and what to consider when purchasing an electronic thermometer. If you are looking for a way to get rid of that old standard thermometer, the EPA suggests giving it to your primary doctor since mercury is toxic. Batteries are another consideration since they can affect readings when low, and like all batteries, need to be disposed of properly. Not all digital thermometers have replaceable batteries, though. It’s just one more feature you may like. One final bit of information that might come in handy is an article on how to take a person’s temperature (orally), on Drug Information Online’s site. This handy article offers suggestions too, such as writing down a person’s temperature and the time taken to keep a record. I hope this completely answers your question; please feel free to ask your Delaware Libraries anytime, in person or online using our live, chat library service called Ask a Librarian Delaware. We hope to see you in our libraries and online using our resources soon! There are many great resources for our Delaware gardens and landscapes. 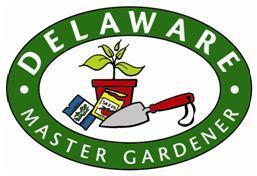 Let’s start with the Delaware Master Gardener’s tips, giving ideas for what to do and when to do it by week and month. Master Gardeners share their expertise through the Cooperative Extension. You can view the Cooperative Extension for Delaware’s information by county, and take workshops that support local learning about plants that do well in our environment, what best grows when and how to diagnose/treat problems and common pests. The CE is committed to sustainable, healthy gardens and landscapes and promotes the knowledge and use of native plants. On a Federal level, the USDA offers gardening tips per state and region. It’s not too early to think about preparing for spring planting. Mother Earth News gives month-by-month lists for what to plant each month; the planting season begins with February! Many avid gardeners in Delaware enjoy planning their gardens while tending to their yards and landscape even in January– weather permitting. Indoors, seedlings such as pansies can be started for those early spring cold-tolerant plants. 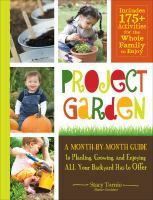 ‘Project garden : a month-by-month guide to planting, growing, and enjoying all your backyard has to offer’ by Stacy Tornio. Before we know it winter will be gone and new flowers and seedlings will be bursting forth! Thank you so much for your timely question to our Delaware Libraries. We’re happy to help with all your information needs and library questions, whether it’s in our library buildings or online. We’re here to help make your life a little easier! We regularly receive, and appreciate, the valuable feedback from many of you about searching the library catalog. We agree that searching should be easier, with better ways to narrow down choices. And book and video lists should be easy to create, save, edit, and share. 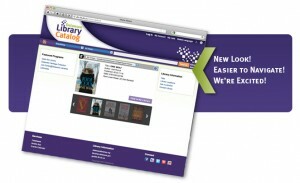 That is why we are so excited to present the new, easier, and much improved Delaware Library Catalog! Please try it out and tell us what you think! Like all beta products you might encounter a glitch or two, so let us know if something doesn’t seem quite right. Better Searching – Fuzzy logic, similar to Amazon and Google searches, will improve search results – even when words are misspelled. Easily Filter Your Results – After you enter your search terms, you will be able to narrow down your results by clicking on the various facets of the results. For instance, quickly narrow your search to items from a particular library, in DVD format, on a certain subject! 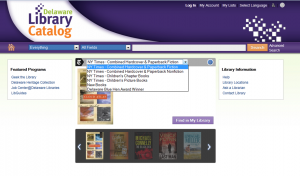 Browse Collections – You can easily view and search just books, eBooks, eAudiobooks, magazines, music, or videos. Share – Email links to items in our catalog, send them as text messages, or build RSS feeds. Use Facebook to tell your friends what you’re reading now. Create Lists – Once you are logged in to your library account, you can search the catalog and save any items you’d like (books, movies, magazines). Your lists are private and you can set up as many as you want or need. 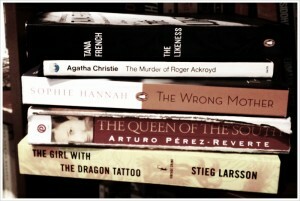 How about a list of what you’ve already read and one for what you want to read next? We expect to have text messaging alerts for holds and more soon. And in the next several months, Automatic PIN retrieval. We all forget our PINs occasionally and we are working to automatically have forgotten PINs emailed. 2012 was a great year for Delaware Libraries! The new Dover Public Library opened; Bear, Claymont, Frankford, Greenwood, and Wilmington Libraries all started renovations or new building projects; we began lending eBooks & eAudiobooks; and so much more. Here’s a look back at 2012 through the top 10 posts on our blog. Some are favorites that appear year after year and some were new in 2012. Another perennial top 10, the 5-second rule? Not true! Want to know the difference between relative humidity and dew point? You’re not alone! Keep following the Delaware Libraries blog to see what we’ll explore in 2013! The new year is a great time to embrace new ideas and explore different places that good writing can take us. There are many amazing stories that can capture our attention and lead us into seeing the world and everything around us in ways we never thought of. Everyone’s taste is unique, though, and librarians can help you define what it is that may spark your interest beyond what you have normally been drawn to, now that you are ready to explore something new. To know more about good matches for what you might like, we ask questions about what you have been reading and the specifics — what it is about the stories that you like: the characters? the settings? the way the author unfolds the story? We may ask what kinds of movies or television shows you’ve enjoyed and those that interest you today. Maybe we’ll ask about what it is that interests you in life – do you have a hobby, enjoy mysteries, like light reading or something with a message? Do you like to learn something about the world around us, or are you sparked by a purely made up story, maybe with dragons and elves or beings from another planet? There are so many options, we want to gain enough clues about what direction you’d like to take as you expand into a new literary realm so as to target some exciting ideas. Once you have a general idea, you can break this into genres: action-adventure, crime, fantasy, Western, mystery, and so on. Within each of these you can find tons of books, so the next step is to consider the setting and style of writing (modern, classic? ), and other details. The Delaware Library Catalog features popular and bestselling fiction. The default view is the New York Times paperback and hardback popular fiction. You have other options too, such as popular non-fiction and new books, and children’s books are featured as well. If you click on the book cover image, you are brought to the item within the catalog so that you can learn more about it, and if desired, place a hold (a request for it). Also provided by the Delaware Division of Libraries is a list of reading recommendations on the Genre LibGuide. This offers a vast treasure of options and ideas, and because it is provided by Delaware Libraries, the titles are directly linked to the catalog for easy access. There are many well-crafted stories and recognition for these is often specialized by type. For example, award-winners for mystery books (Poe Award) and for science fiction (Arthur C. Clarke, Nebula, Asimov, and Hugo Awards) are some offered every year. The National Book Foundation offers another recognized award for well-deserved fiction. Generally speaking, recommendations from librarians, family and friends are wonderfully prolific and fruitful. We can start with The Readers Advisory Link Farm – a directory of links to reviews, bookstores, and lists. Pinterest is another way to share book recommendations and lists for adult fiction. Another online social place is Goodreads, which is well-loved by many librarians and readers who share their own suggestions. I hope this helps you with ideas for exceptional books for the coming year. Please feel free to ask a librarian anytime you want to find a good book to enjoy, whether it’s a print book, an audio version, or ebooks. We’re glad to help and love treasure hunting for books and information anytime! You can visit us in person or log on to chat (Ask a Librarian Delaware). We truly appreciate your service!